Platform checking, should you choose to accept it. Friends, I'm writing this blog post for a select few only, before releasing it to the wilds of the Social Media Machine. You may have noticed one HUGE change in Cabiria, which is that we are now going to include size 12 in the line. Don't worry, it will be on a plus size, curvy US 12 measurement format, but I think this will address the desires of a lot of the retailers, consumers, and the general marketplace "tweens" (and I don't mean Bieber fans). The real reason for this post is that I have been busily incorporating a lot of social media outlets into a cohesive unit: Blogger has changed to Google+, Facebook now supports the business Page more simply, Twitter is active, as is a new Pinterest Account. I am trying to compile everything into a Mailchimp Email list so I can make sure everyone gets the emails I intend to send them (and nothing more), but that's taking longer. Today I signed into Cabiria's blog on my iPad, and realized that the super cool web font I'd been using for the blog the past 2 months was showing up as a horrible, unreadable, swirly font. Had no idea, because I should have remembered to check across platforms, but I hadn't. It's all now back to Verdana, which should be universal. PLEASE let me know if you're receiving duplicate notifications from multiple platforms, or if the mobile version is wonky on any devices, or if the blog or website are showing up weird on a specific browser. If there doesn't seem to be anything amiss, wonderful. If there is, please write or DM me immediately, and I'll do everything I can to fix it. Thank you so very very much, and more soon, once the kinks are worked out! In any case, I've just met with my samplemaker and we think we have a manufacturer in NYC who can do both samples and production. They do such gorgeous work, and I'm finally (finally!) getting into a groove where the *right* vendors and suppliers will work with me. Not all the hunting, and being able to trust my team is such an immense relief! I get closer and closer every day, and it feels amazing. In other news, I have a HUGE announcement coming very soon on the website, and all my social media platforms. I've listened to your feedback and incorporated it a very big deal way. Super exciting and hush hush (unless you've seen the subtle dropped clues)... Any guesses what it could be? 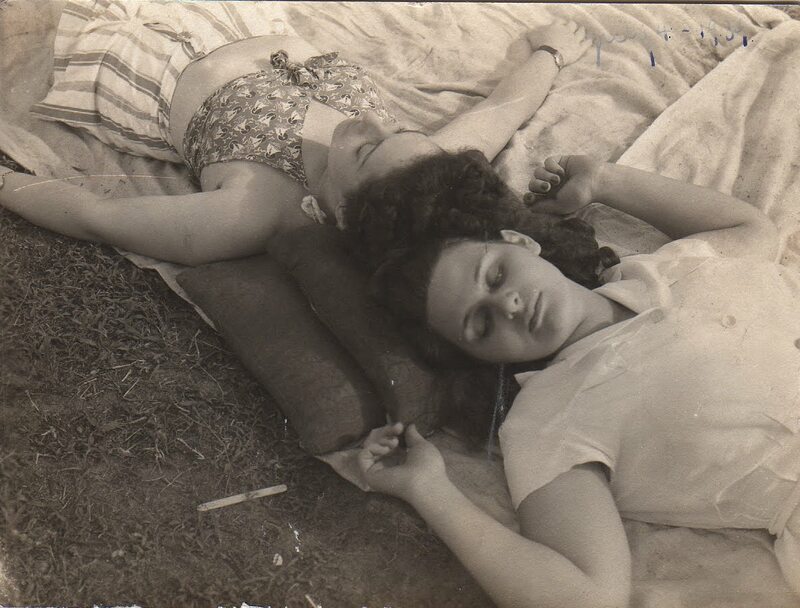 So for now, I leave you with a photo of my grandmother (and her sister) on the beach, July 4th, 1939. 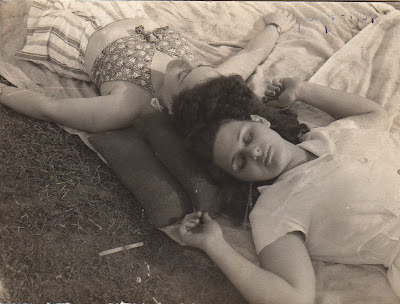 She was a beautiful, moon faced, strapping girl, and as evidenced by the many photos my grandfather took of her, he was smitten.